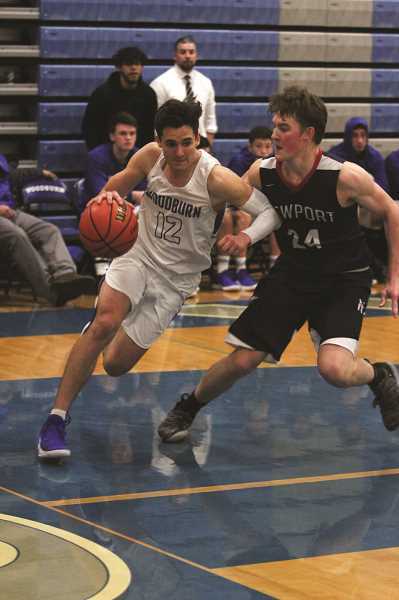 Already in the midst of its best season in years, the Woodburn boys basketball program received another boon this month when senior guard R.J. Veliz was selected as a nominee to the 42nd annual McDonald's All-American Games. On the season, Veliz has averaged 23 points, six assists, seven rebounds and two steals. 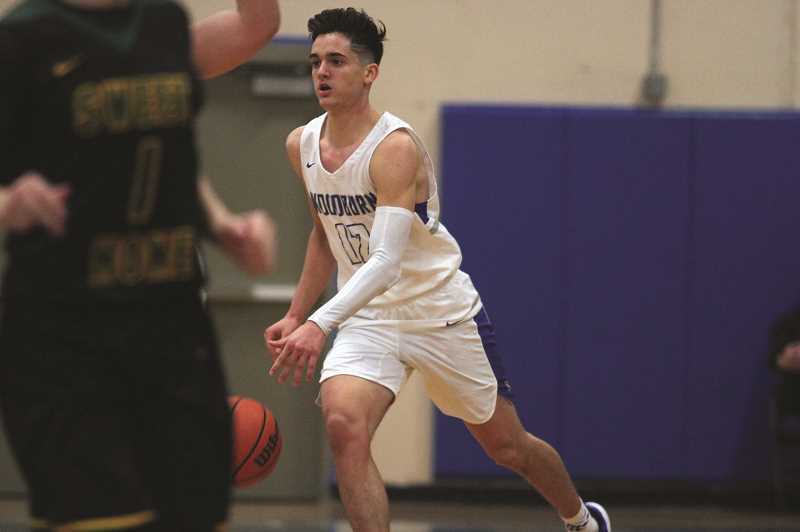 Coupled with three previous years of All-State caliber play at Blanchet Catholic coming into this season, Veliz's resume made him a natural choice as one of more than 800 nominees for the annual event that honors the top senior boys and girls basketball players in the country. While his selection was no shock to the senior, the fact that he was the lone player from Oregon to make the list was a bit surprising. "I didn't look into it that much, but obviously there should have been five or six more (Oregon) players on that," Veliz said. "We all know each other, some of the best players in Oregon. I don't think it's too huge of a deal, but it's a great accomplishment and I'm proud of it." 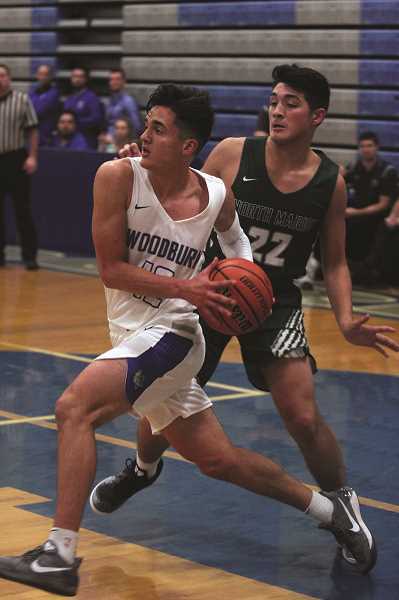 Woodburn High School boys basketball head coach Raul Veliz — R.J.'s father — credits the accomplishment to the amount of work and drive R.J. has committed to the sport since third grade when he began playing basketball at The Hoop basketball club in Salem. Under the tutelage of owner Price Johnson and director of operations James Johnson, R.J. became a dedicated student of the game, trying to get his father to take him to the facility as often as he was able. "Even into high school, he would go 6 a.m. to the gym before games and get shots up in the mornings and things like that," Raul Veliz said. "He's just one of those guys you'd classify as a gym rat." Growing up in Woodburn, Raul Veliz loved playing basketball and wanted to give his son the same experience. He didn't want to force R.J. into the sport and enrolled him in a variety of youth athletic programs in the community. But as soon as he got a taste of life on the basketball court, he was hooked. "It wasn't until he went to that club tryout at The Hoop that he fell in love with it right there," Raul Veliz said. As R.J. grew into middle school and high school, so did his game. His thorough commitment to basketball made him a starting caliber player on Blanchet Catholic's varsity roster as a freshman, where he helped guide the Cavaliers to a third-place finish in the 3A state playoffs in 2016. "With all the elite camps he'd been invited to, there was a lot of expectations," Raul Veliz said. "I think he evolved into a great scorer as a point guard, but also as a good facilitator as well." The Cavs qualified in the quarterfinals his sophomore year, but were bounced from the tournament with two losses. As a junior, he led the Cavaliers to another third-place finish, all the while improving his game as an elite scorer and playmaker. "He always was somebody that was really aware to get other teammates involved and getting guys shots where they were most comfortable taking them," Raul Veliz said. This year would prove to be his biggest hurdle. Playing for his home town team in Woodburn meant leaving the comfort of a Blanchet program he had become familiar with during the past three years. It also meant bumping up to the 4A classification and joining a Bulldog team that was already full of talented players, forcing him to dial back his scoring a bit and work more as a distributor. "Transferring here took a big sacrifice for him," Raul Veliz said. "He still can score, but we definitely have some more help on this year's team, so he's really had to change his game in a sense that he's looking to get everybody involved." The results speak clearly. R.J. has been one of the best players in the 4A this year, and the Bulldogs are ranked No. 4 in the state with a 15-3 record. And while R.J. was not one of the 24 finalists that were named on Jan. 24 to play in the annual All-American games to be held on March 27 in Atlanta, it's not much of a concern for the Woodburn senior, who is more focused on the immediate goal of bringing a state championship to Woodburn in March.